If you are a business owner, a pay-per-click ad for a business can help your customers find you on the Web. 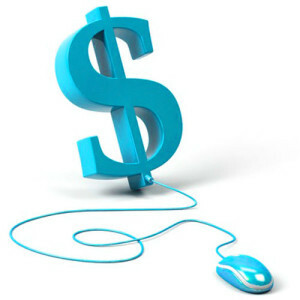 Pay-per-click ads, also known as paid search ads, display on search result pages. Google places these ads at the top and on the right side of the list of organic search results. Google AdWords is the company’s pay-per-click ad platform for business owners and marketers seeking to advertise their products and services on Google search results pages. Businesses can pay for any given keyword phrase, and then when a search user types the chosen phrase into the search engine, the purchased ads will display to the user in addition to the organic results. Each time the pay-per-click ad displays to a user, the action is termed an “impression.” The business does not pay for impressions, but rather only pays for the ad if the user clicks through to the business’ site. The rate at which interested users becomes customers of your business is known as the conversion rate. How Much Do PPC Ads Cost? The cost of a pay-per-click ad can greatly vary. Certain keywords and keyword groups are more valuable than others. The business pays less for a keyword term consisting of 10 words than for a single keyword or a heavily searched phrase. Programs like Google AdWords allow you to set a budget limit for each of your campaigns, so there is no need to worry that you will break the bank if you happen to select a popular keyword phrase. Once the budget limit is reached for a particular keyword group, your ad is no longer displayed to users. Essentially, you have total control over how much your business spends on pay-per-click advertising. If you are tasked with determining the keywords that will be most effective to drive traffic to your company’s site, take solace in the fact that you will only be charged when users click your ad. Therefore, you can be creative and try different strategies to maximize your advertising dollar. Call to Action – The effectiveness of a PPC campaign can vary, but the most effective ads include a call to action in the ad’s text. Make the most out of the space provided and always encourage your customers to act when they see your ad. Matching – Google AdWords allows the marketer to select whether search users must enter the exact keyword phrase, or if the ad will display when users enter an approximation of the desired keyword term. The former option is known as Exact Match and the later is Broad Match. Entrepreneur Magazine advises businesses with small advertising budgets using Google AdWords to choose Exact Match over Broad Match to stretch their advertising dollar. Remember that you pay each time someone clicks on your ad. With Broad Match, you will have more users click on your ad, but not all users will be interested in your product or service. This means that you will be paying for ads that display to uninterested users. Analyze and Modify – Use a tool such as Google Analytics to monitor the effectiveness of your PPC campaigns. Allow the metrics determine how you modify your PPC campaigns. If an ad works well, leave it alone and don’t tweak it. If you are not seeing a return for a particular campaign, pause or modify it to conserve your advertising cash. PPC ads can be beneficial for businesses of any size. Mastering pay-per-click ads for a business can introduce your company to a wide range of new customers.